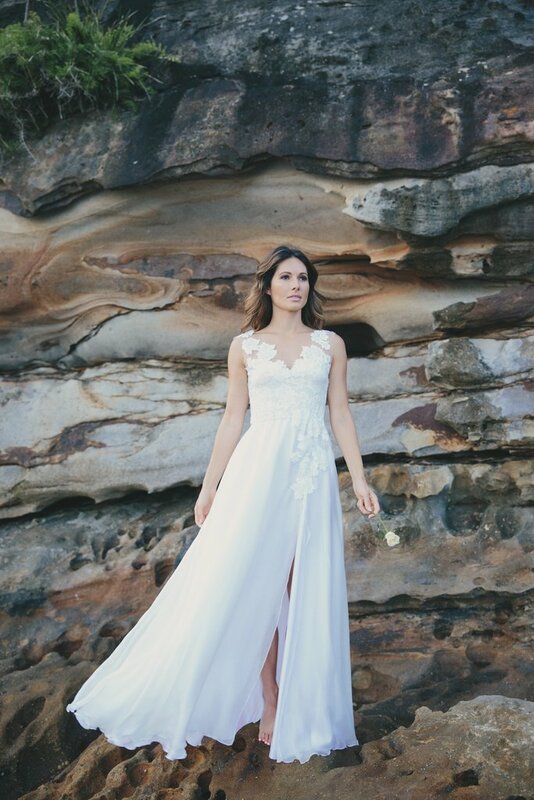 We're celebrating our launch on home soil, in Australia, with a debut of a new shoot! 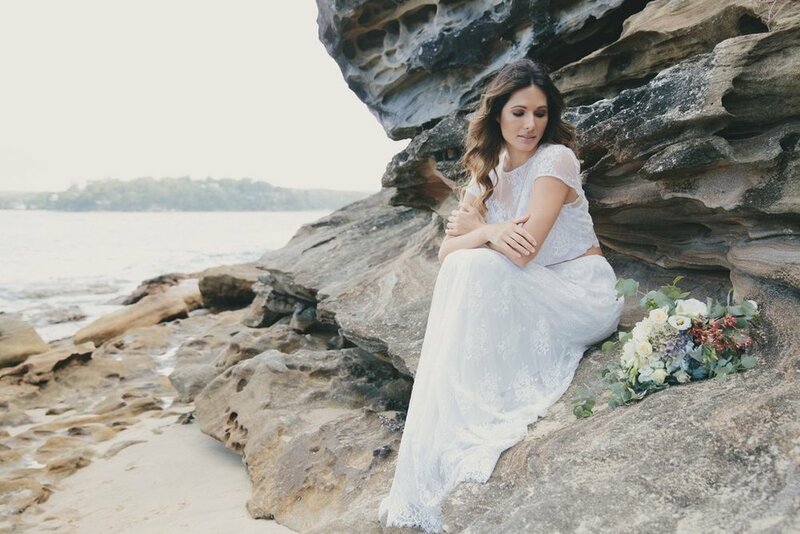 Aptly named "You, Me & the Sea" and shot on gorgeous location in Sydney, Amber of Amber Joy Photography caught the gorgeous light on this moody day by the sea. 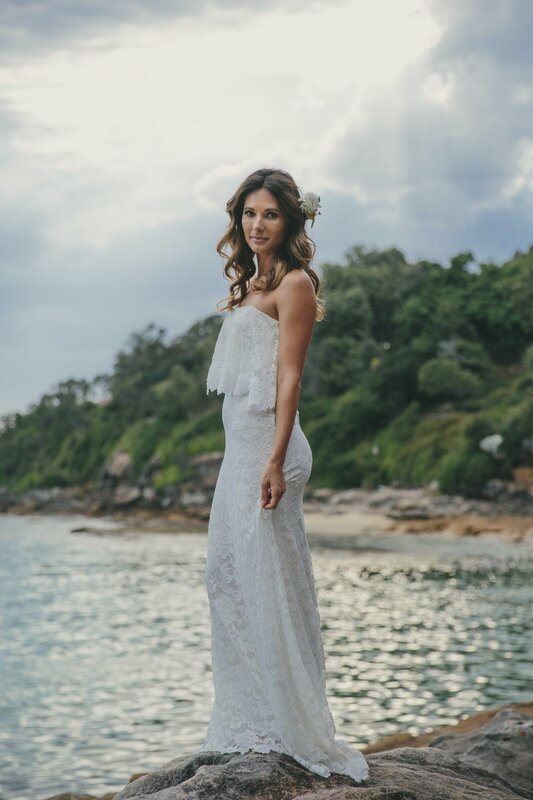 Model & Surfer girl, Laura Andon, wears our gowns beautifully with her natural, unfussy style and collaborating with Fleur My Darling for the elegant florals was a treat - we especially love her Tahitian-inspired floral anklets! Hair & Makeup was provided by local lovelies The The Bridal Bar. 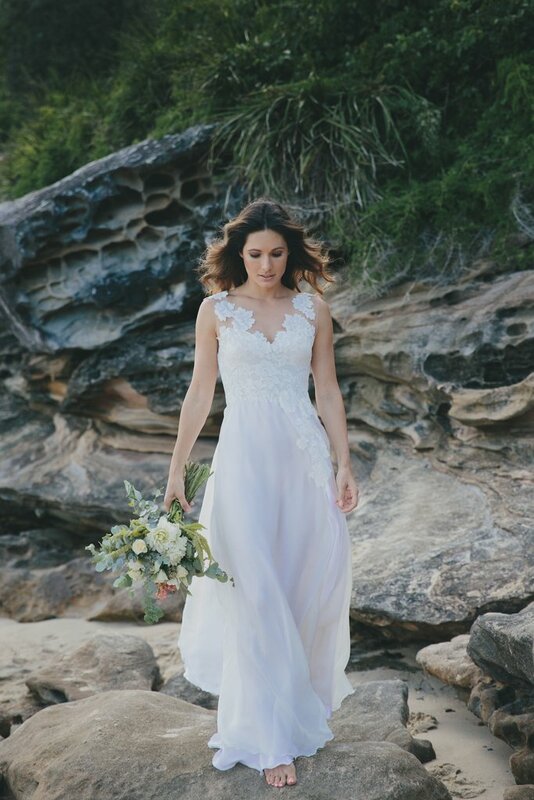 These gowns, from our first range, feature beautiful, simple floral laces and silk, cut in styles that fit the figure perfectly. 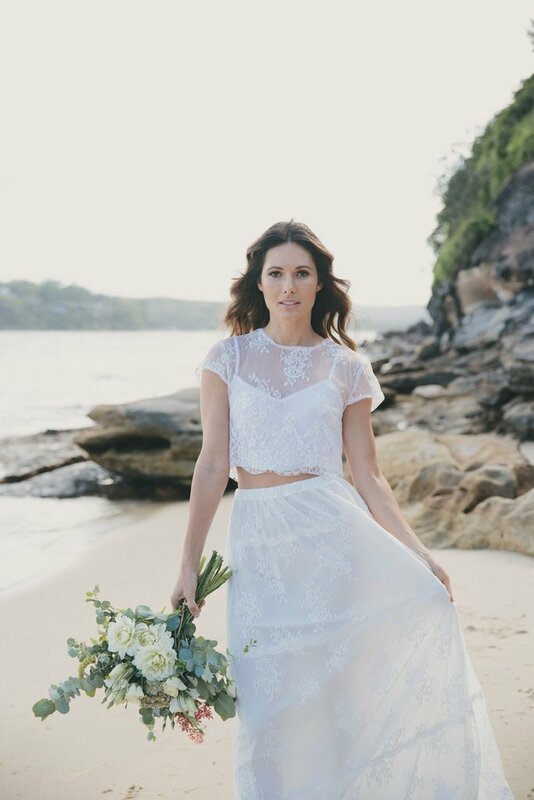 Tassels, handsewn floral hems and fringe details are used in this range to hint at a boho vibe. Enjoy, and bring on Summer! Thanks to our fab team!